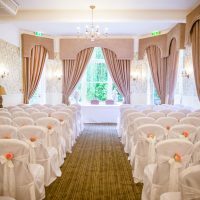 St .Andrews Town Hotel enjoys a rich past dating back to the 1820’s and offers a tranquil and elegant setting for weddings, vow renewals and civil ceremonies. 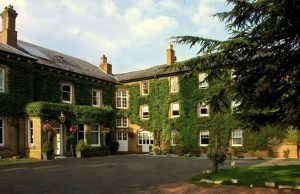 The charming Georgian building is conveniently located in the historic Spa town of Droitwich, yet has the ambiance of an idyllic country retreat. 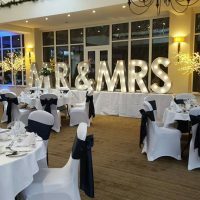 Fully licensed for civil ceremonies, the hotel plays host to a variety of function rooms, fully licensed bar and 31 comfortably appointed rooms including a luxury bridal suite. Whether you are a hands-on couple who want to create a bespoke wedding or want to enjoy the stress-free benefits of an all-inclusive package, there is something to suit all budgets and tastes. Talk to the dedicated wedding coordinator to create your memorable day, your way. 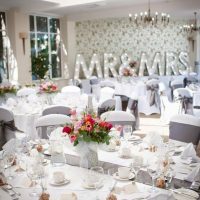 Accommodating up to 150 guests St. Andrews Town Hotel is fully licensed allowing couples to conveniently hold their ceremony and reception in the same elegant location. The newly built Orangery offers a light and airy space for up to 100 guests. Naturally lit via the wrap around windows and skylight, the spacious room leads out to the terrace and gardens. Additionally, couples can take advantage of the equipped PA system and drop-down screen, for teary speeches, presentations and videos. The Drawing room provides a romantic setting for ceremonies and receptions for up to 100 guests. The warm chandelier lighting and neutral tones create a welcoming space that benefits from a private bar. Classically decorated the Dining room caters for up to 70 guests. Several period features lend themselves to the sophisticated atmosphere including, stunning ceiling rose, paneled walls and feature fireplace. Situated adjacent to the bar and with French doors leading to the terrace make this a versatile and relaxing setting. The Library is the perfect setting for intimate gatherings of up to 20 guests. Neutral décor and subtle lighting create an inviting ambiance that reflects the elegance of the hotel. The catering team At St. Andrews offers a huge choice of options for your celebration. Whether you fancy a light finger buffet, slow cooked hog roast or a sumptuous 3-course silver service meal, there are options to suit all tastes. The chefs are happy to work with you to create a memorable menu that tastes every bit as delicious as it looks. With 31 contemporary, stylish bedrooms, there is no shortage for you and your guests to unwind following the excitement of the celebrations. 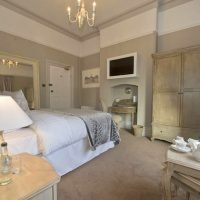 For the happy couple, the lavish bridal suite includes little luxuries including; a whimsical roll top bath and Gilchrist & Soames complimentary toiletries.